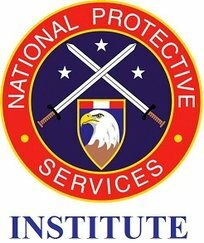 The NPSI Reference Library is a combination of the resources under the "Library" tab on Matrix (with numerous full text documents specifically relating to the security profession) and the extensive Questia online library. The LRC can be found under the “Library” tab on www.NPSIonline.net. The log in is the student’s (or faculty) NPSI e-mail address. NPSI maintains a virtual library, or Learning Resource Center (LRC), providing numerous full-text documents related to the professional security field, as well as links to a variety of electronic depositories of books and journal articles. NPSI is a member of the Library and Information Resources Network (LIRN), an academic library consortium which provides millions of peer-reviewed and full-text journal, magazine, and newspaper articles, e-books, podcasts, audio, and video resources to support their academic studies from ProQuest, Gale Cengage, EBSCO, eLibrary, Books24x7, and more. The library contains books and journal articles on subjects such as history, philosophy, economics, political science, English and literature, anthropology, psychology, and sociology. It also includes magazine and newspaper articles. Overall, the NPSI virtual library provides relevant and current texts and periodicals, research journals and databases, standard works of reference, multi-media and electronic resources, and other resource materials necessary to more than adequately serve the student body.